What Will Android’s New Design Guidelines Mean for the Platform? 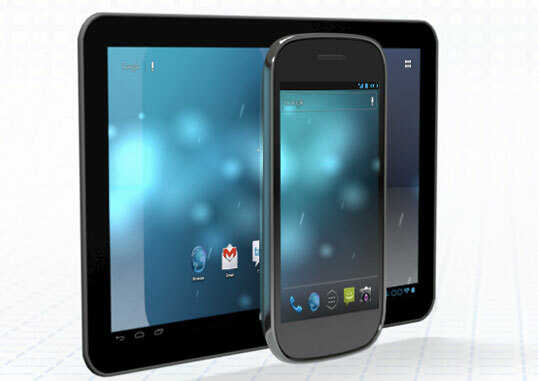 Android has long been criticized for its lack of a focused user interface design language. Apps running on the platform often don’t feel like they’re apps for the same platform at all, lacking a sense of coherence and uniformity. While Apple’s clearly stated design language documentation and arduous review process have given rise to an app ecosystem that provides a seamless, integrated, uninterrupted user experience through consistent UI elements, Android has fallen behind. Google hasn’t put enough weight on the importance of a consistent design language — until now. With Ice Cream Sandwich, much of Android’s design was overhauled. A new font, Roboto, has replaced the Droid Sans and Droid Serif pairing, which Google must have been pretty sure is an improvement as the Droid fonts had become Android design icons all of their own. And late last week, Google finally launched the Android Design site which introduces a new set of guidelines for app design, complete with style advice, patterns and ready-to-go building blocks. While Apple has always taken a rather heavy-handed approach to enforcing its guidelines, it appears that Google approaches the Android Design guidelines as just that — guidelines. If (despite the lack of enforcement) the majority of developers take the company’s advice to heart, this can mean only good things for the platform. iOS design rules even fit in well with Mac OS X — despite the completely different input mechanisms. The Jobsian ideal of end-to-end integration works wonders in this environment, and given Android’s dependence on the Google web service ecosystem, should be a no-brainer here. Which leads us to one of the problems with the Ice Cream Sandwich look and the new Android guidelines: Android’s design language does not fit with the rest of the Google ecosystem very well. Android isn’t the only Google product to receive a major overhaul in recent times. Starting with Google+, a new design language for web products was rolled out app by app in 2011. But for some reason, the look and feel of Google web services and the Android platform don’t share much, if anything, in common. To provide end-to-end intuitive, cohesive design, there should have been more coordination between design teams. While there are evident problems, it is still early days and Google’s new efforts to keep app interface designers on the same page is an encouraging sign. It may be a number of years before we see Google embark on a design overhaul as big as the web services overhaul or Android’s — and rightly so, as it is better to stick with these disparate looks for now than confuse users with overly frequent changes — but we can hope that the company’s future efforts will be more consistent. Since mid-2011 Google is focusing on design as an important aspect of its products for the first time in its history, and we can’t expect them to get it all right in the first go.